What Is Rheumatoid Awareness Day? 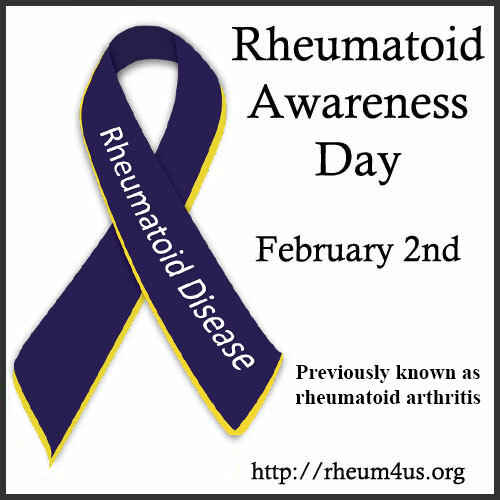 The first Rheumatoid Awareness Day was Feb 2, 2013. It is impossible to measure its full impact, but tens of thousands of people participated in live online events or commemorated the day with local educational or fundraising events. 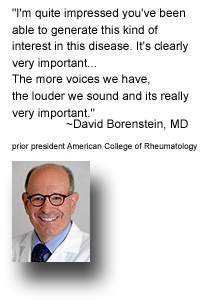 If Rheumatoid Awareness Day is new to you or your organization, here’s a summary of the purpose of the occasion. Click HERE to see how you can participate in Rheumatoid Awareness Day. 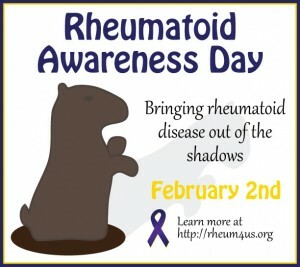 Rheumatoid Awareness Day is February 2nd! Rheumatoid Awareness Day is observed on February 2, giving people with the chronic illness known as rheumatoid arthritis, or rheumatoid disease, a day of recognition. Because the disease is commonly presumed to be a type of arthritis, awareness is lacking, causing problems with disability accommodations, clinical care, healthcare costs and research funding. Rheumatoid Awareness Day comes at the start of Heart Disease Awareness month, underscoring a serious aspect of rheumatoid disease: heart involvement. Studies show that rheumatoid disease may affect the heart prior to diagnosis. Rheumatoid patients have higher incidence of stroke and atrial fibrillation in addition to the specific effects of the disease upon the heart itself. A study conducted by Mayo Clinic reported that rheumatoid patients were twice as likely to experience silent heart attacks and sudden cardiac deaths. Rheumatoid Awareness Day is observed with campaigns for raising awareness and educating about rheumatoid disease. The patient community and the public are encouraged to get involved by sharing educational resources, promoting awareness messages via social media, joining live online chats, and participating in fundraising. ← Show Us How You Celebrate Awareness! 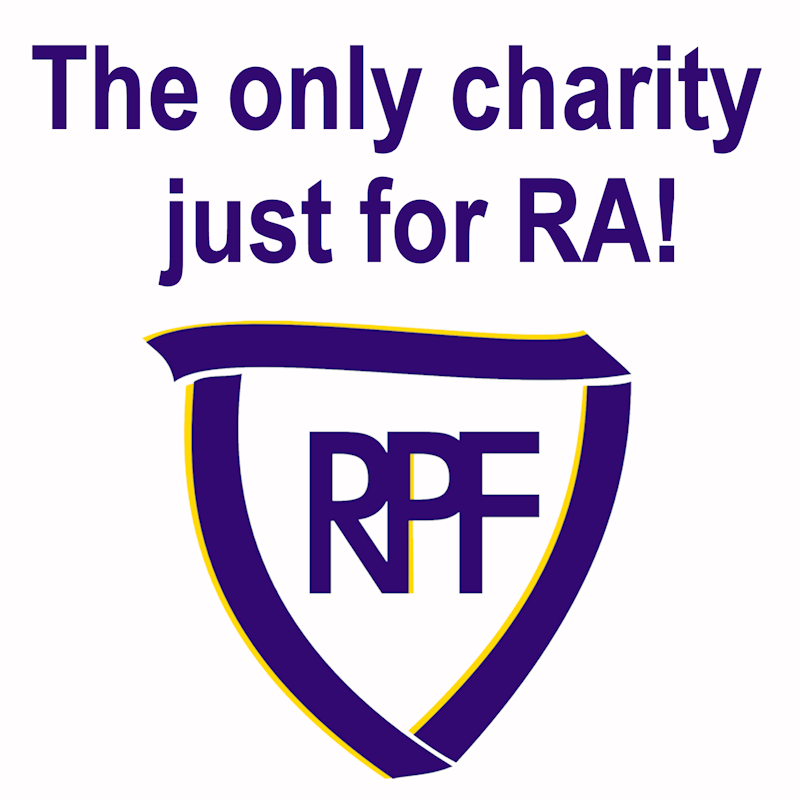 0 responses to What Is Rheumatoid Awareness Day?